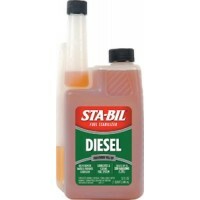 Sta-bil gas stabilizer 10 oz Treats: 25 gal.Size: 10 oz. 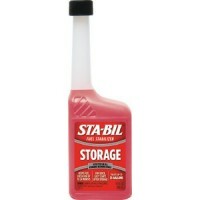 Bottle..
Sta-bil gas stabilizer 16 oz Treats: 40 gal.Size: 16 oz. 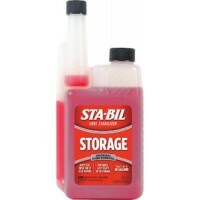 Bottle..
Sta-bil gas stabilizer 1 gal Treats: 320 gal.Size: Gallon Bottle..
Sta-bil gas stabilizer 32 oz Treats: 80 gal.Size: 32 oz. Bottle..
Sta-bil marine display Display Contains:: (12) 32 oz. and (24) 8 oz. 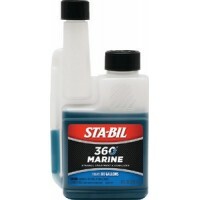 bottles..
Sta-bil marine formula 32 oz Treats: 320 gal.Size: Quart..
Sta-bil marine formula gal Treats: 1, 280 gal.Size: Gallon..
Generates incremental sales and profits. 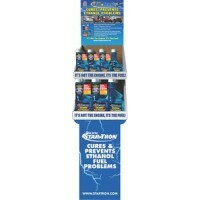 Prevents out-of-stock - supplements shelf stock during peak.. Minimum order quantity for display is 16 bottles. Size: 4 fl. 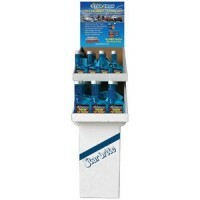 oz.Description: Counter Display..
Increases power output, improves fuel economy, reduces octane requirement, combustion deposits, hydr..
Dissolves gum and varnish from fuel system. 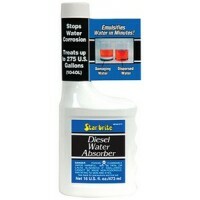 Removes internal carbon deposits. Frees sticky rings and.. 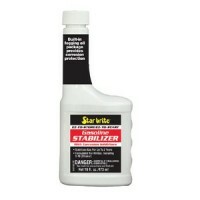 Promotes quick starting. 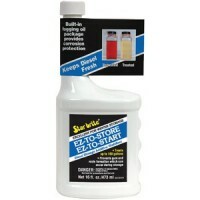 Keeps carburetor and fuel system clean. Reduces gum and varnish build-up. I..
Absorbs free water from diesel fuel and allows it to be safely burned away. 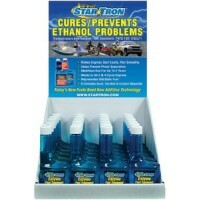 Helps prevent corrosion ..
Protects fuel and engine components during storage. 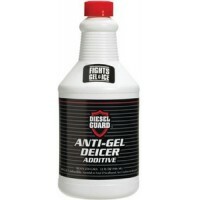 Eliminates need to fog engine, prevents corrosio..
Protects gas and engine components during storage. 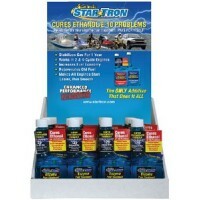 For inboard and outboard gas engines. 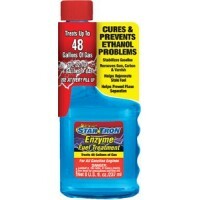 Eliminates ..
Makes any engine run more smoothly, start more easilyEliminates & prevents carbon depositsStabilizes..
Cures & prevents ethanol fuel problems.Makes any engine run more smoothly, start more easily. Elimin..
Small engine formula. Reduces all emissions. 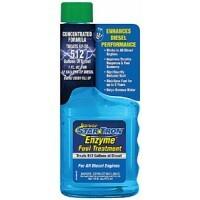 Prevents fuel oxidation and stabilizes fuel chemistry f.. 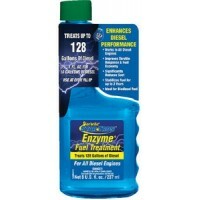 Enzyme fuel treatment display contains (16) 1 oz. 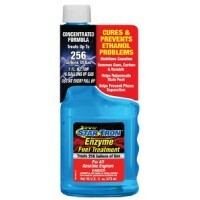 bottles of Super ConcentrateEach 1 fl oz. 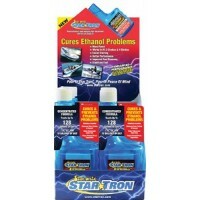 bottle t..
Star tron counter disp diesel..
Startron disp sm mix gas diesl.. Compact, handy size is ideal for outboards, outdoor power equipment, lawn and garden equipment, moto.. 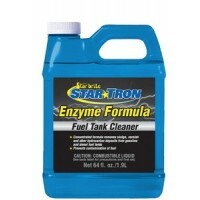 Gasoline and diesel fuel tank cleaner for the tank that has extremely heavy sludge and related depos..
93615: StarTron Display-Mini Counter Top: 6 ea. 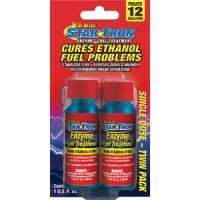 (93008) Star Tron® Gas Additive, 8 fl.oz.93625: Star..
An EPA registered diesel additive that combines a biocide with a multi-functional diesel additive to..